What Separates Fort Lauderdale Airboat Rides? 2019 is finally here, and what better way to kick it off with an exciting Ft. Lauderdale Airboat Tour? Everglades airboat tours may be a great idea for families looking to spend more time together this year by doing exciting things they never thought of before. The trip is great for all ages, as everyone can take something unique away while on an airboat ride Fort Lauderdale adventure. The weather is perfect for riding on an airboat tour in January since it’s cool and barely rains. You can forget about the overbearing muggy air of South Florida while flying through the Everglades on our airboats. As the wind blasts you straight in the face as you cruise along the Mangrove trees, you’ll realize that an Ft. Lauderdale airboat ride Everglades tour was definitely the best way to start the year off. What Makes Ft. Lauderdale Airboat Rides a Great Family Attraction? 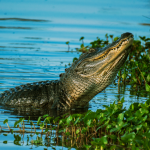 Anyone can drive down the highway and see alligators on the side of the road, but there is something different seeing them up close and personal. 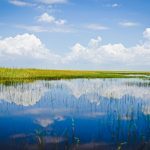 Fort Lauderdale Airboat Rides gives people an inside look into the natural environment of the Everglades including all of the different species of birds, fish, and land animals. They’ll even have the opportunity to see alligators in the Everglades swimming or sunbathing in the middle of the day. Even if you don’t see an alligator while on an Everglades tour, don’t worry! There are hundreds of other cool animal species that live in the Everglades that you’re bound to see while cruising. Fort Lauderdale offers multiple types of trips to give you and your group as much flexibility as possible when booking a trip. Our one-hour trips offer a brief view of the outer environments. We zoom through the safer areas of the Everglades so as to not damage any of the habitats. This thrilling ride is perfect for young adults and those familiar with the Everglades and looking for a thrill. Otherwise, we offer a two hour, more in-depth trip. 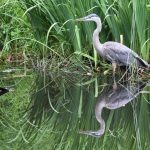 This takes a slower pace and allows stopping time to take pictures and view the wildlife more closely. We also venture deeper into the Everglades to see more unique species to this environment. We’ll visit unique and hiddle spots throughout the Everglades that you’d never see on any other tour out there. New Year’s resolutions may have parents cutting back on work time to spend more time with their family. Everglades airboat tours are a great time bonding experience for everyone on the tour. January is great for airboat tours since it isn’t as hot out in the swamps and the whole family will not be fatigued by the heat. If you’re ready to start the year off with a bang, consider taking one of our tours at Fort Lauderdale Airboat Rides. Call us at (954) 338-4890 to schedule a time to take your family out for an incredible experience unlike anything else. Fort Lauderdale Airboat rides offers a unique look into the Florida Everglades with private airboat rides launching from the Loxahatchee Preserve.